Marker Sources are easily filled with the same radionuclide to be used in imaging procedures. Small clear plastic receptacle, 1'' diameter x .5'' thick, has a centered channel to contain channel to contain 0.2 cc of the nuclide. 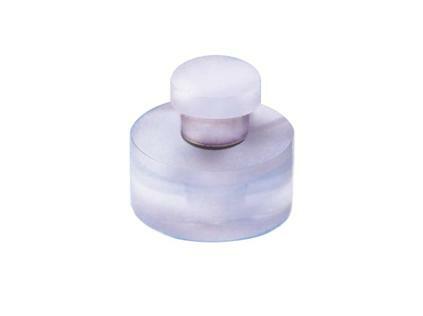 A nylon screw-plug tightens against an O-ring completing a tight, safe seal. Marker is re-usable or nuclide can be decayed or removed.